At Ainsley's Angels of America, we aim to ensure everyone can experience endurance events, Ainsley's Angels of America aims to build awareness about America's special needs community through inclusion in all aspects of life. Serving as advocates to providing education and participating as active members in local communities, we believe everyone deserves to be included. Major Kim "Rooster" Rossiter is retired US Marine with over two decades of enlisted and officer service in North Carolina, Washington DC, Virginia, California, Okinawa, Africa, Korea, Norway, and is a combat veteran of Operation IRAQI FREEDOM. In addition to serving as the President of the Ainsley's Angels of America, he is also a special advisor to many other adaptive sports organizations across the country. He and Lori, his wife of over 20 years, hail from Lake Charles, LA, and are parents to Briley, Kamden, and the namesake for Ainsley's Angels, the late Ainsley Rossiter. Joe Orth is a Marine Corps combat veteran and serves as the Executive Vice President of Ainsley’s Angels of America. Joe met in Ainsley in 2008 when the Rossiter family moved to Virginia Beach where Major Rossiter and Joe served together. Joe got involved in running with Ainsley’s Angels in 2012 and has not looked back since and has completed over 100 inclusion races from 5Ks to ultra-marathons. Joe has a passion for the Ainsley's Angels mission and loves traveling around the country, participating in endurance events with rider athletes. Kristine Seaward is Ainsley's Nana, the Southwest Louisiana Ambassador and Mid-South Regional Vice President. Kristine and her husband Darrell reside in Lake Charles, Louisiana, the birthplace of Ainsley's Angels with their two children, Christian and Madison. Without speaking a single word, Ainsley has motivated me to do things I once never would have dreamed of. A few words all of us at Ainsley's Angels live by, "life is not measured by the number of breaths we take, but the number of moments that take our breath away." Tanya McGee, best known as Ainsley's "Nannie", serves as the Senior VP of the Ainsley's Angels Ambassador program. Tanya has made it her life's work to help individuals live a satisfying, hopeful and contributing life. She has a master's degree in Clinical Psychology and serves as the Executive Director of Imperial Calcasieu Human Services Authority which provides administration, operations and management of all federally and state funded programs for mental health, addiction and developmental disabilities in SW Louisiana. She is married to Reagan McGee, and they have 3 children, Jimmy, Madelyn and Alivia. Shaun Evans, DPT, is a physical therapist residing in upstate NY with his wife, Nichole and two sons, Shamus and Simon. 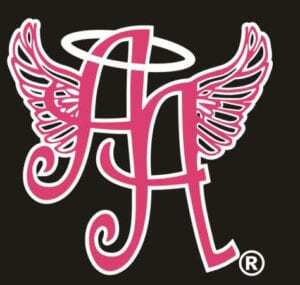 Shaun currently serves as the Senior VP of Education for Ainsley's Angels of America. Shaun is an experienced distance runner and finisher of over 40 marathon and ultramarathon events, as well as a newly developed triathlete. He runs most of his miles with his son Shamus who was born with cerebral palsy. 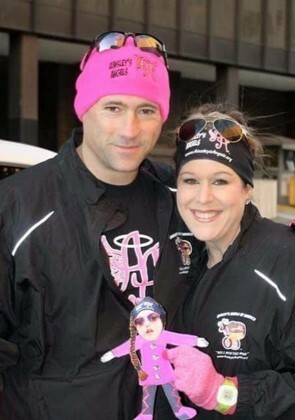 The duo created a mission which they dubbed Ainsley's Angels Power to Push; in 2015 they ran 3200 miles from Seattle to NYC and in 2017 they ran 1700 miles down the Mississippi River to gift running chairs and spread the mission of Ainsley's Angels. Chris Wood serves as the Senior VP of Finance and is a 2004 graduate of Old Dominion University with a Bachelor’s degree in Business Administration/Accounting. He has been in the field since 2004 but has been preparing taxes for over 18 years. His managerial background helped mold his client-focused, proactive approach to client business taxes in his tax practice, C. Wood & Co, LLC. He is originally from Portsmouth, Rhode Island and moved to Virginia Beach in 1997 to pursue a career in the accounting industry. He is married to his lovely wife, Sharon who is a teacher in Virginia Beach, and has 3 children, Anthony, Wilson, & Zachary, a daughter-in-law Chelsea and 2 beautiful grandchildren, Audrey and Anthony James Wood, Jr. Chris is very active and enjoys the beach, coaching his kid’s baseball and football teams, martial arts, and running. 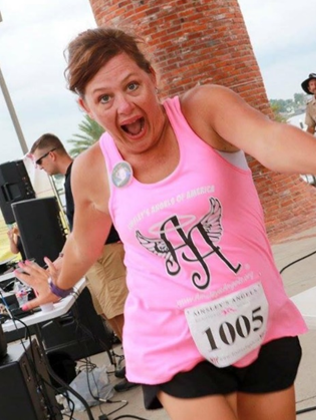 Tracie David has been involved with Ainsley's Angels since its inception in Southwest Louisiana in 2012. She is first cousin to Lori Rossiter, Ainsley's mom. Tracie has served as photographer for events in Southwest Louisiana and has also served as Ambassador of SWLA for one year before accepting the role of Senior VP of Administration. Tracie and her husband Greg are parents to Dylan, Derek, and Devin and they all assist the SWLA ambassadorship in all aspects of race day when needed. Their youngest son Devin has been running as an Angel Runner since 2013 at the young age of 8 1/2 and hopes to someday work at the National level of Ainsley's Angels of America. Amanda Piccirilli-Hall serves as the Senior Vice President of Marketing as well as the Southeast Pennsylvania Ambassador for Ainsley's Angels of America. Amanda is a marketing and communications professional living in the Philadelphia suburbs with her husband Taylor and fur baby, Gatsby. She is currently a senior account executive with a Philadelphia-based Public Relations firm with more than 10 years of marketing, communications, graphic design and nonprofit experience. Amanda has been the Southeast Pennsylvania Ainsley’s Angels ambassador since November 2015 and was named the Senior Vice President of Marketing in November 2016. She is both a distance runner and triathlete – proud to spread the message of inclusion at each and every race. Laura Shuler currently serves as the Vice President of Race Operations as well as the Eastern Carolina Guardian Angel of Community Outreach. She has been with Ainsley's Angels since 2014 after signing her son Gavin up to be an Angel Rider. Prior to taking the on the role of Vice President of Race Operations she served as Local Ambassador in Eastern Carolina. Laura resides in Jacksonville, NC with her husband, USMC Major Kevin Shuler and their children Gavin, Carlee and Aubrey. Laura Also works from home as a Sr. Director for Thirty-One Gifts and serves in philanthropy on their Gives Care Council. Nichole Evans is a special education teacher in upstate NY. She has been a member of Ainsley's Angels of America since the spring of 2013. 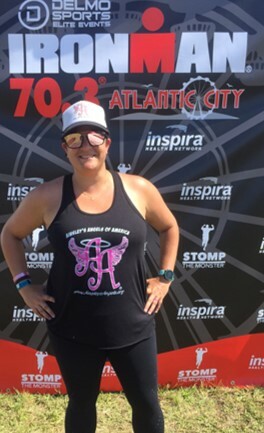 In addition to being the Northeast Regional Ambassador for the organization, she is also the wife of Senior VP of Education, Shaun, and mother to Angel Rider Shamus and Angel Runner Simon, as well as lead support staff for the Ainsley's Angels Power to Push missions. She loves participating in Ainsley's Angels races, traveling to help spread the mission of inclusion and directing the Together We Shall 5K in her town in NY. Michelle Smith is an Early Childhood Special Educator with over 20 years experience in the Onslow Co. School system in Jacksonville, NC. In addition to being the Mid-Atlantic Regional Ambassador for Ainsley's Angels of America, she was also a founding member of the Ainsley's Angels in Eastern Carolina Ambassadorship, which formed in 2012. Michelle continues to reside in Jacksonville, NC with her husband Kevin and their daughter Paige, who are also active members of the Ainsley's Angels family. Kristy High is a special education teacher and has been teaching at the elementary school level for 19 years. 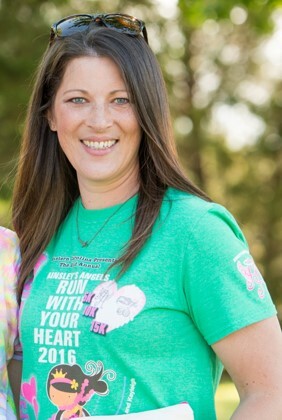 Kristy became involved in Ainsley's Angels of America after her daughter Kendall Jade was matched with Rooster through a buddy support group on Facebook known as I Run 4 Michael. After witnessing first hand Kendall Jade's first race and the joy it brought the entire family, Kristy was hooked. She brought Ainsley's Angels to North Central Indiana in September of 2016 and has since accepted the role of Central Plains Regional Ambassador. Kristy resides in Russiaville, IN with her husband Eric, and their children Haley, Kendall Jade, Donovan (AKA Angel Channel News), and Deklan, along with granddaughter Tiernii. Laura Marano is the West Regional Vice President for Ainsley's Angels and a physical therapist. Laura initially met the Rossiter family in 2010 when she was a student under the direction of Peggy Wolff, who was Ainsley's PT. A native of Virginia Beach, Laura's mother, Phyllis Pruett was also Ainsley's home bound teacher, so Laura and her family are no stranger to the Rossiter's. Laura, her husband Josh, and daughter Aria live in San Clemente, California where Josh is an active duty Marine stationed at Camp Pendleton. Briley Rossiter is a current high schooler and student in the International Baccalaureate Diploma Programme. Briley is the eldest daughter of Rooster and Lori Rossiter, as well as Ainsley’s older sister. Her involvement in Ainsley’s Angels has been plentiful, beginning when she first ran with Ainsley at the age of 9 and leading to her publishing Born An Angel, a children’s book about her sister where she has pledged all proceeds back to Ainsley’s Angels. Today, she serves as VP of Digital Media where she produces “Spotlight Saturday” a weekly YouTube video series along with other digital content for the charity. Danny Bourgeois is a board member of Ainsley's Angels of America and one of the founders of The Louisiana Marathon and Mississippi Gulf Coast Marathon. Full bio to come. WANT TO HELP SPREAD THE MESSAGE OF INCLUSION WITH US?